We had another cold start to the day with the low of 34. As we were leaving town we noticed frost everywhere. It would have been considered a light or scattered frost at home, but here in central Florida it was FROST and they don’t have FROST. Anyway, it didn’t stay around for long because the sun was again glorious and by shortly after lunch everyone at the RV show was talking about how many layers they had shed. The highest number we heard was 6. 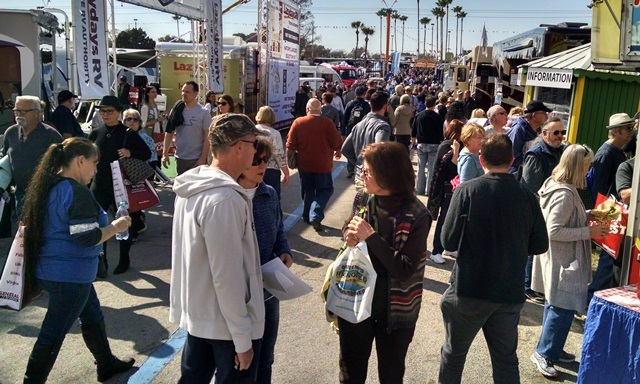 We left Enterprise heading to Tampa to the RV Super show, one of, if not the largest RV show in the US about 7:15. 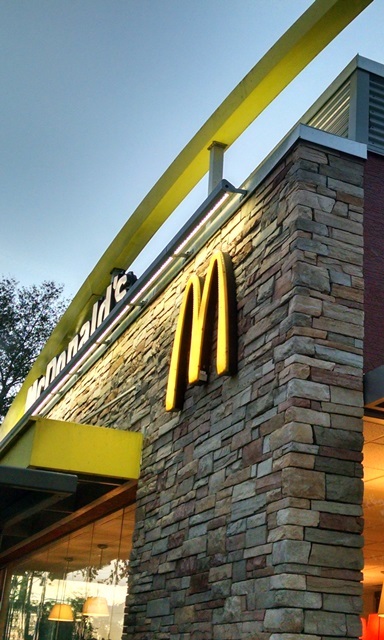 We made a quick stop at McDonald’s for a biscuit before jumping in I-4 west. 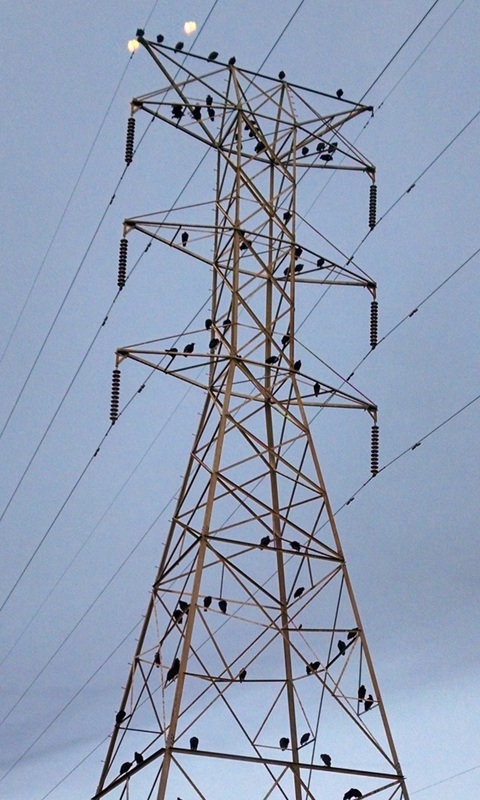 There was a high power line almost in the parking lot and it was covered with buzzards. We decided they were waiting for customers to have heart attacks from all the high cholesterol foods. Two hours later we were exploring the RV show. There were hundreds and hundreds of beautiful RVs to enjoy and two large buildings of must have stuff to peruse. 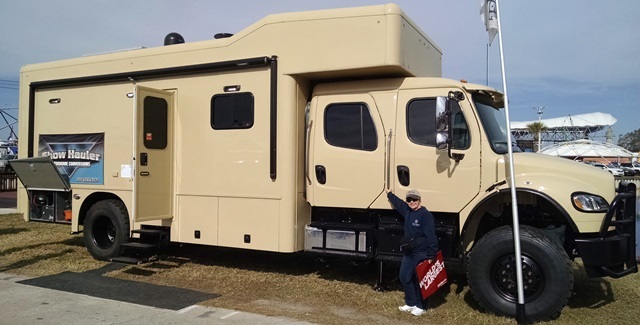 Of course we weren’t really shopping for a new RV, but we always like to look to see what new RV’s are coming out and what has changed in our favorites. We did pick up a few ideas we might like to use in FRED and did make a purchase of some storage containers. 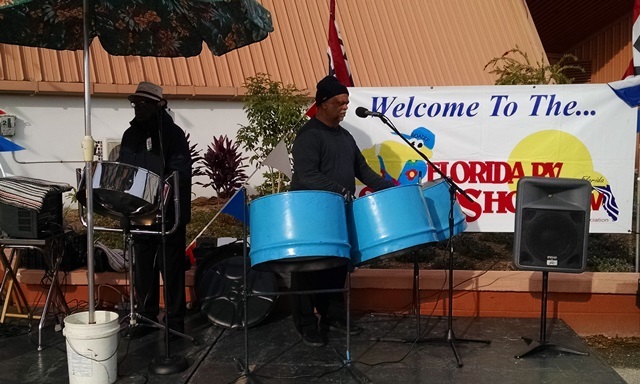 Otherwise, we looked and enjoyed it all, were able to talk to a couple of people about NOMADS and our mission work, and then left to return home just in time to be in the middle of Friday afternoon traffic in Tampa. It actually wasn’t too bad and we had an uneventful ride back to Enterprise. … and we weren’t the only ones there. … and we weren’t the only ones there, either. When you purchase your tickets for the show you get a second ticket to return another day, because there is really too much to see in one day, but we saw a lot of it. Jo and Mark are planning to go to the show tomorrow so we gave them our second day tickets because we don’t plan to play tomorrow. There is rig cleaning and laundry and resting to be done.